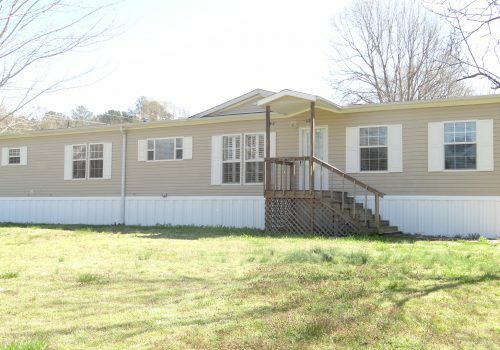 Pristine 4 bedroom 2 bath mobile home situated on 1.59 acres! This home has a split floor plan with an open kitchen and living area, large laundry area and even has office space in the hall! Covered Deck too!